Hologram är baserat på 5 Nobelpriser. Ännu en hologram-tjuv som gjorde en “tavla” en tabbe! Väl nere i Humlegården måste tjuven ha upptäckt att bilden var svart – spotlighten som belyste Alfred Nobels byst satt fortfarande kvar på väggen. Vilken tur att tjuven inte insåg varken spotlightens eller hologrammets värde. 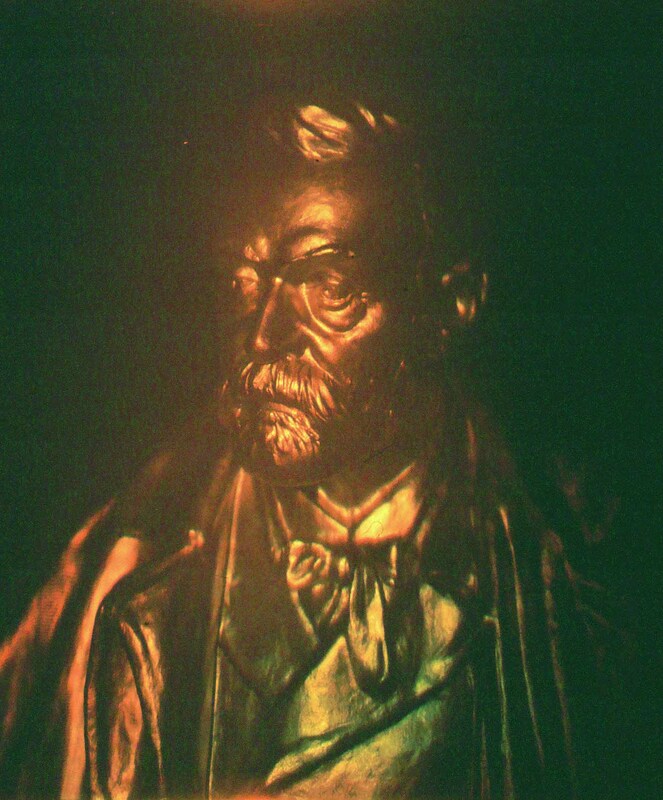 Alfred Nobel hologrammet var den första serien av den typen av glashologram för vitt ljus i världen, där varje hologramtavla är ett original. 11e Internationella Symposiet inom display holografi. 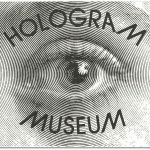 Holografi Konferens Portugal – den 25 juni 2018 startar symposiet om så kallade display hologram. Många intressanta exempel ingår i Hologramutställningen med verk från världens främsta utövare av det 3-Dimensionella mediet. 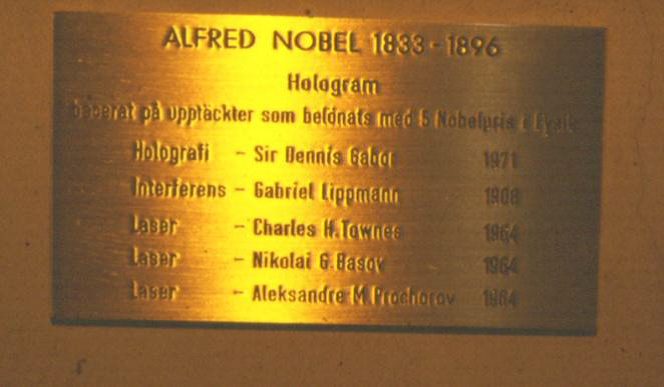 Holografi symposiet leds av dom främsta forskarna inom den Nobelprisbelönade lasertekniken, holografi. Du som journalist, skribent, fotograf eller annat, har väl inte missat tillället att lära dig vad REAL hologram är? 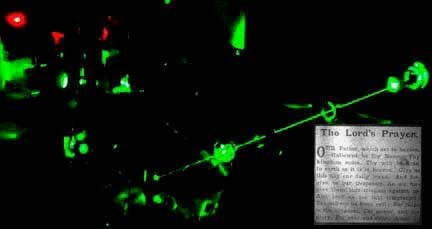 Lasertekniken holografi som är så gott som var mans egendom, borde väl få den uppmärksamhet den förtjänar och inte beblandas med alla möjliga projiceringestekniker och LED skärmar. Tänk bara på kontokort, sedlar, id-handlingar, parkeringstillstånd (handikapp-) samt produkter som förseglas eller förses med säkerhetshologram. Att holografi tekniken dessutom är en konstform som kan skapa 3-dimensionella bilder som förändras beroende var betraktaren befinner sig, förstår man i hologramutställningen i Aveiro. Man brukar säga att laserljuset för konstnären är som mejseln för skulptören. Man använder ingen kamera utan skapar hologram med laserljusets dimensioner. Hologram på frimärken har blivit ett nytt aktuellt ämne inom i filately. Intresset bland filatelister att samla sådana objekt har fortsatt att öka. Det är nu mer än 25 år sedan det första slutgiltiga frimärket med hologram utfärdades i Österrike 1988. 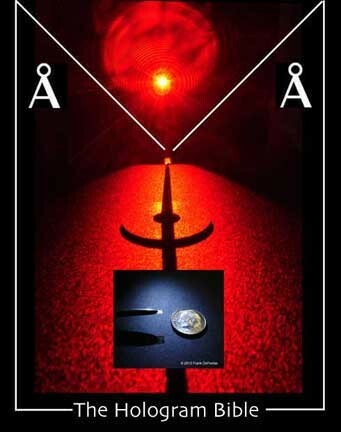 I den här boken tillhandahålls en kronologisk översyn av världens utfärdade hologram frimärken och souvenir ark med hologram. En beskrivning av varje hologram och souvenir ark ingår med färgfotografier av samtliga. Del av text, copyright Hans Bjelkhagen. 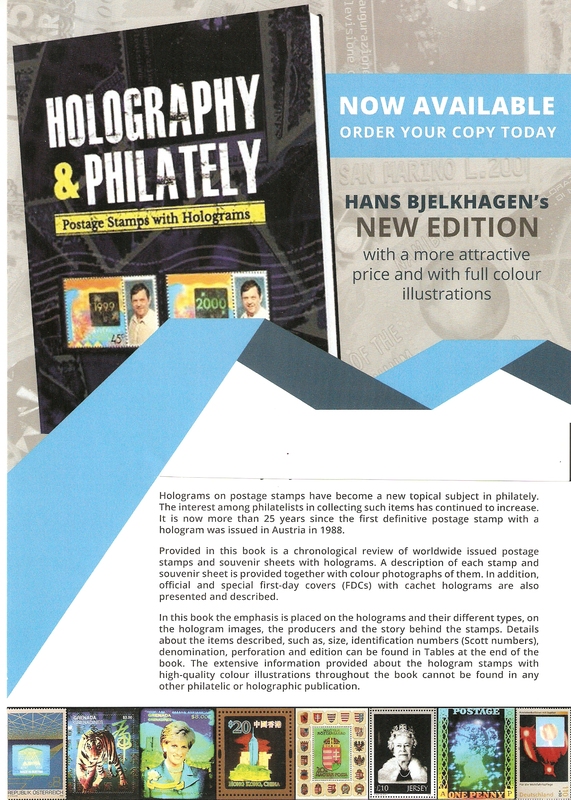 The Hologram Bible is shown hidden under a postage stamp in this experimental test. As of May 2012, an entirely new way of experiencing the Holy Bible has taken place in a humble row home in a small Pennsylvania town. This Bible is unlike ANY other Bible before it, which is a rather bold statement, but true. You are not likely to read about it in popular magazines, nor see it on national news. Its world-wide propagation is truly in the hands of a much Higher Authority, and this single web page. Q1. Is it really a Bible? Yes. This Bible is a real Bible stored as a real laser HOLOGRAM. The Bible hologram contains all 1,245 individual pages, and 773,746 words of the King James Bible. It is the size of an average snowflake. It is not an electronic chip, nor does it contain any electronic information. It is not a computer file. Nor is it a big image that is made really small through reduction. Holographic information is stored onto a special laser sensitive photopolymer emulsion. As a laser hologram, it is one of the smallest, and most scientifically and technologically advanced REAL Bibles in the world today (2012). Q2. What is a hologram? 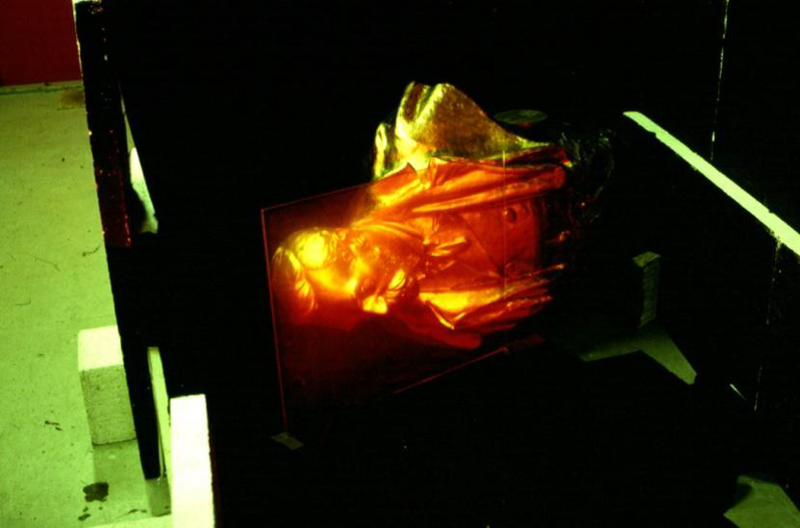 Holography is a Nobel prize-winning field of physics. It allows objects to be recorded in true 3-dimensional fidelity called holograms. 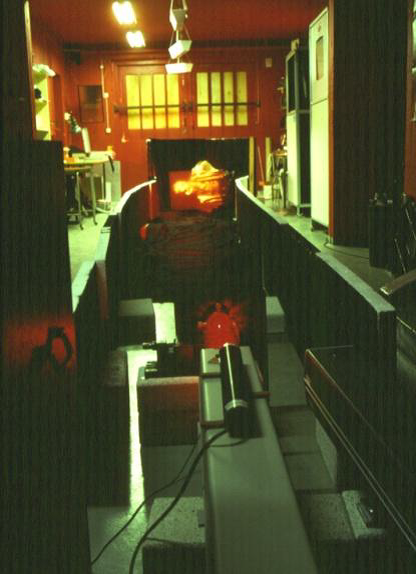 It is also used in various technical applications, such as data storage and non-destructive testing. The Hologram Bible project shows that vast amounts of information can be stored in a very small space when stored holographically. Q3. What else is true about The Hologram Bible? It is amazing to note that every word of the Bible is contained within a single laser beam, all at the same time. To the eye, there is nothing on the hologram film at all. Another interesting fact is that the image of the Bible is not located in the same “space” as the hologram. The Bible itself floats out in space, at a specific angle and distance away from the physical holographic film. The geometry, laser orientation and distance measurement data are known only to myself. DID YOU KNOW? . . . 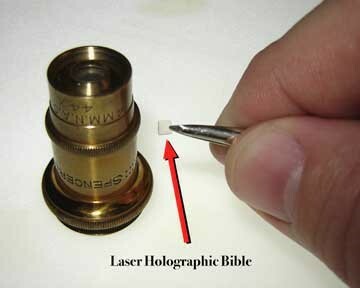 The Hologram Bible is recorded onto a material known as photopolymer. Photopolymer is what I would call a transformational material: once it experiences light, changes take place within, and it is transformed into something new. Before it comes into the light, it is vulnerable to outside forces and thus is unstable. After it receives the light, it becomes stable, and is no longer vulnerable to outside forces. Therefore, it is transformed into what it was initially created to be, and ultimately reaches its full potential, through its presence within the light. Q4. What is the Bible made of? Although the hologram itself is physical (holographic photopolymer film), the Bible, scripture or images that it contains exists as only pure laser light. The information is stored so densely, that the Bible glows when held in the light at certain angles. This is known as diffraction. Q5. How does one read The Hologram Bible? The holographic reconstruction of the Bible is not located in the same physical space as the hologram film. The Bible is actually several inches away from the physical piece of holographic film. The optical system, along with a laser beam, reconstructs the Bible out in space. It is this reconstructed laser holographic image — not the physical hologram — that must be projected / enlarged / etc. to view. 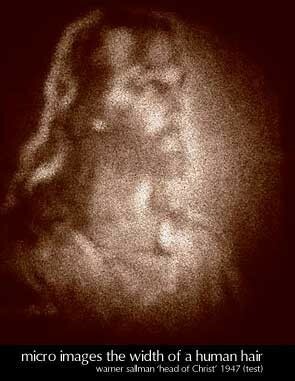 With individual Scripture text (shown above) and image holograms (see “head of Christ” below), a laboratory microscope is not needed. All that is required is a simple laser pointer. Why? Because the enlarging optics are encoded directly into the hologram (since the hologram can record 3-dimensional objects/space, it is possible to also record the 3-dimensional optics that would be needed to enlarge the image). 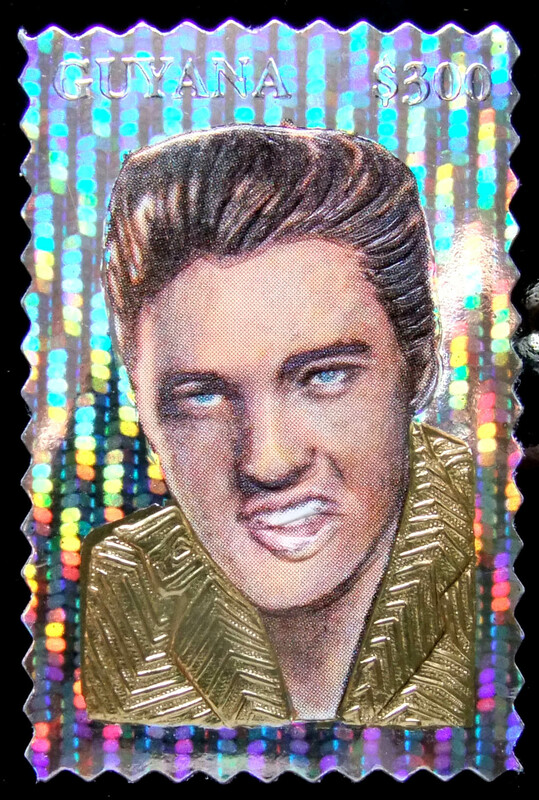 These holograms can be camouflaged within the design elements of such common items as greeting and birthday cards. This is an analog form of laser holographic steganography. 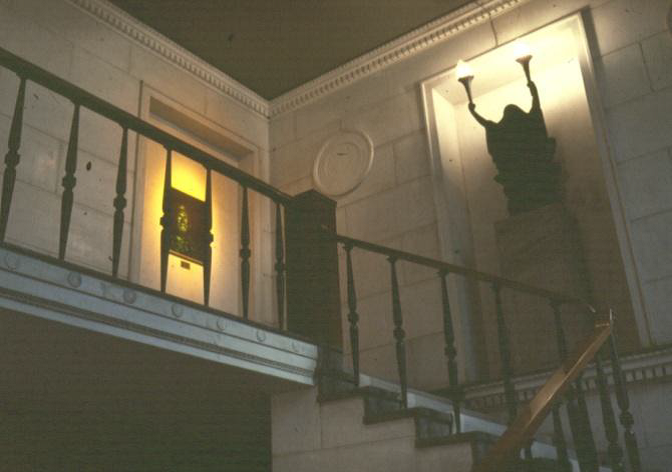 They cannot be detected by the unaided human eye, but when you touch the right area with a laser beam (a laser pointer will do), Scripture and/or Bible-based images are holographically ‘projected’ onto any wall, ceiling or screen in a darkened room. Their size can be as small as the diameter of a human hair. 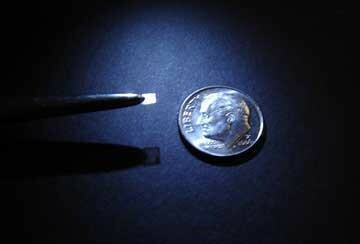 They very well may be the smallest images ever recorded in the world today. Q6. What is the history of The Hologram Bible? Miniature Bibles date back to the 19th century. The history of The Hologram Bible dates back to 1964 and the New York World’s Fair. Many futuristic technologies were introduced to the public at this two-year event. 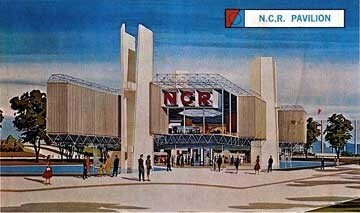 The NCR pavillion provided visitors with a glimpse into the future of information storage and retreval, and how vast amounts of information can be stored in very small spaces. The subject that NCR decided to use for a public demonstration of their new technology was none other than what was then known as the world’s smallest Bible. At the time (1964) it was the most scientifically / technologically advanced Bible in the world. Q7. Was this the Bible that went to the Moon on Apollo? Yes. The NCR microform Bible was the Bible that went to the moon with the Apollo astronauts. About 500 of the NCR microform Bible’s landed on the moon’s surface. There are many modern-day copies of this Bible available today in 2012, but only a finite number of originals from the days of Apollo. DID YOU KNOW? . . . As we begin to meet groups of people concerning this project, it has become very clear that the main focus has been on how “small” the Hologram Bible is. This is understandable, since it is the most readily understood aspect. However, it would be a mistake to think of the hologram Bible as just another “really small” Bible. 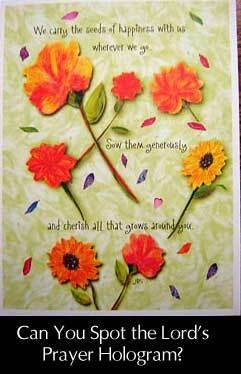 Its size is just the beginning of what makes it different from every other Bible in the world today. The greater interest should be in the holographic aspect itself: that every Word of God is located at every point in space, and all at the same time. Unlike the NCR Bible of NASA / Apollo, or even your printed or electronic Bibles at home, the “Words” of the Hologram Bible are not physical in their existence. And they are not “localized” to a given place, such as a location on a page (electronic or otherwise). 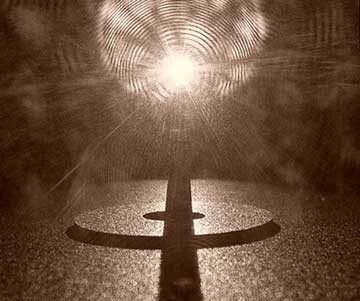 The Words in the Hologram Bible do not physically exist, in the physical sense that we know it. They exist as pure light only. They are not “on” the hologram, they float in free space. You can pass your hand through the light that contains every Word of God. You can project this light into a darkened room, and have the room itself lit with every Word of God. 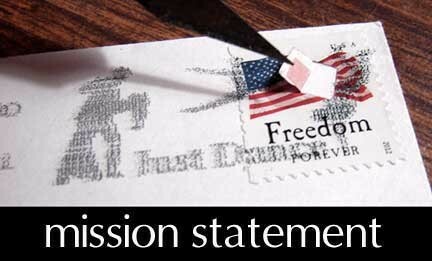 This is truly the most important aspect of the Hologram Bible project. It has never been possible to do this before, and the people who see it are the first in the world. Ever. and projected onto a wall. Q8. How advanced is The Hologram Bible? The Hologram Bible is many, many times smaller than the NCR microform Bible of the 1964 New York World’s Fair (the world’s smallest Bible, previous to 1964, was from the 1933 World’s Fair in Chicago). There are other technologically advanced Bibles today: some that are *smaller* contain only the Old *or* New Testaments, while others contain *both* the Old and New Testaments, but are *larger* in size. Techniques range from nano-etching, to vapor deposition, etc. 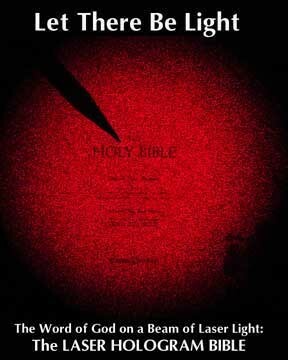 I propose that in utilizing the Nobel prize-winning method of laser holography, the Hologram Bible is one of the smallest, and most scientifically and technologically advanced Bibles in the world today (2012) . . . and that it will remain so for many years to come. Therefore, I have given it the official title of “The Greatest Hologram on Earth“.